The Legend of Zelda is still a defining title to this day, and many fans point to it as the entry that was the most “open” in terms of letting players solve the world for themselves. For an 8-bit game that is over 30 years old, it still feels fresh in today’s expanding market. Nintendo might have rewritten the book on open-ended design, but recent discoveries show that this almost wasn’t the game. The Hyrule Encylopedia has uploaded a long-lost screenshot from before the game was released, and the early build shows a much different game. For one, it was a first-person exploration game, more similar to Might and Magic or Etrian Odyssey for today’s audiences. The genre was very popular back then in Japan, and Nintendo very well might have been trying to capitalize on that popularity. Still, more importantly, the game offered a dungeon selection screen. Immediately, this tosses open world exploration out the door, turning this first-person dungeon crawler into a segmented maze game that doesn’t even allow them to get out and find their way through the world on their own. The late Nintendo President Satoru Iwata had dug into this early Legend of Zelda build before in his “Iwata Asks” series. 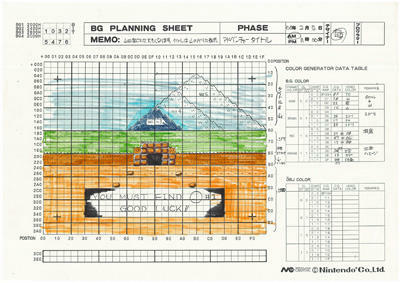 The original game’s programmer Toshihiko Nakago explained this idea was scrapped before the game even had a title. This is the planning sheet for the dungeon select screen we drew up back then. The title is ‘Adventure Title,’ so we hadn’t decided on The Legend of Zelda yet. And that’s Miyamoto-san’s signature. The idea just completely blows my mind. If Nintendo had stuck with this rule, then the series might not have become the international hit that it did. The first-person dungeon crawler wasn’t nearly as popular on North American consoles as it was on PCs or in Japan. It is best known for bringing the complexities of those games into a much simpler gameplay method, one that doesn’t scare gamers away immediately. No international support means no sequels, no Link to the Past, no Ocarina of Time, and ultimately, no Breath of the Wild and no reason to buy a Nintendo Switch! I consider this shift in direction one of Nintendo’s wisest moves.